My Favorite Websites , just to name a few that can help you find information ranging from recipes to dietary supplements or just out right savings on day to day items! http://www.gnc.com: Love this site, for up to date products on sport nutrition, vitamins, supplements and over all body support. 2. 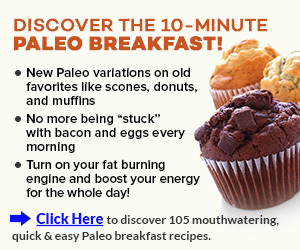 The Paleo Recipe Book: Has tons of recipes for every day health to the Athlete in you. Check out the Link below! 3. http://www.vistaprint.com : This site is good for all business supplies. Everyone this is also great for personalized photo and family character postcards, birthday invites, calendars, mugs, all kinds of gifts! Warning…it’s addictive! 5. LifeExtension: Provides advance supplements for your everyday use. 6. South Beach Swimsuits: If your on vacation with the family or your friends, south beach swimsuits will help you feel and keep you cool all at the same time. 7. Shiekh Shoes: Staying up to date with the latest fashion ranging from adidas women’s footwear shoes to apparel this is the place to shop. 8. HealthTap Talk to a Doctor anywhere, anytime, 24/7! Live by Video, Voice & Chat. 100% Satisfaction Guaranteed. 9. The 3 Week Diet Check out our New Found Weight Loss Program. Lose Fat in 3 Weeks. The 3 Week Diet. Use Discount Code of SAVE10, at checkout to receive a discount off your order.